While in Eindhoven, I photographed this amazing building, the Vesteda Toren Eindhoven. 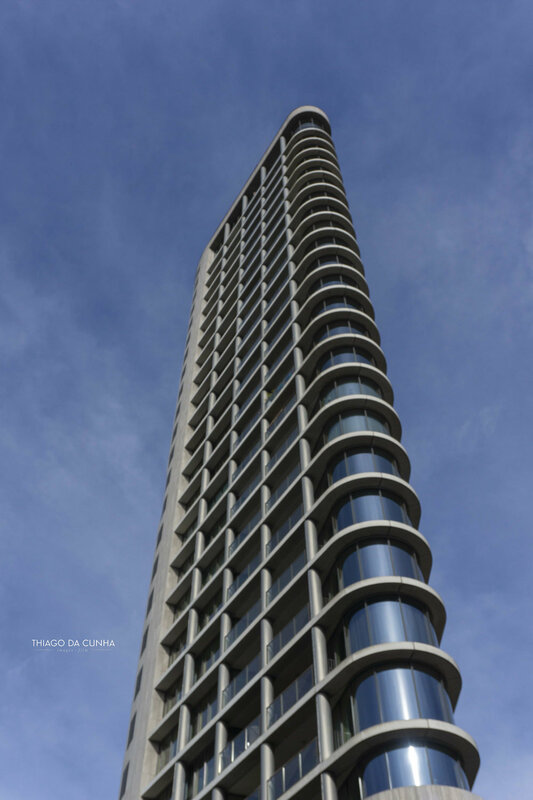 Design by JO COENEN & CO ARCHITECTEN, this project resembles the Flatiron Building in Manhattan and the Pirelli Tower in Milan. It is mainly a residential building complete with gym and shopping/retail spaces. 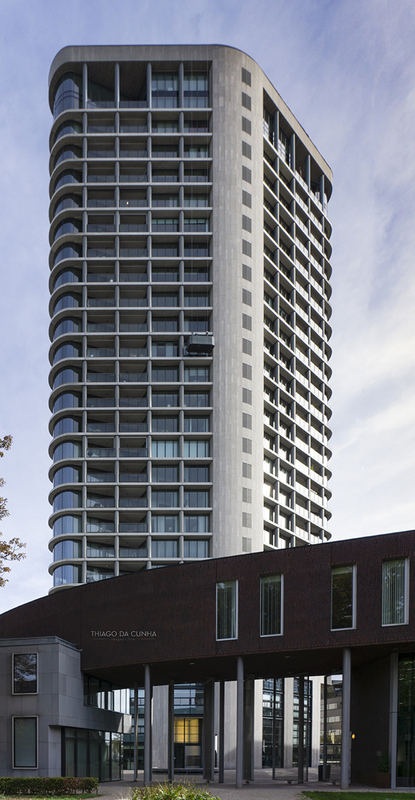 With a hight of 90 meters and 28 floors, it is the 4th tallest building in Eindhoven, the Netherlands. Side street view of the Vesteda Toren Eindhoven. It also has an underground parking for about 600 cars. The construction was done by Tielemans and realized in precast concrete. 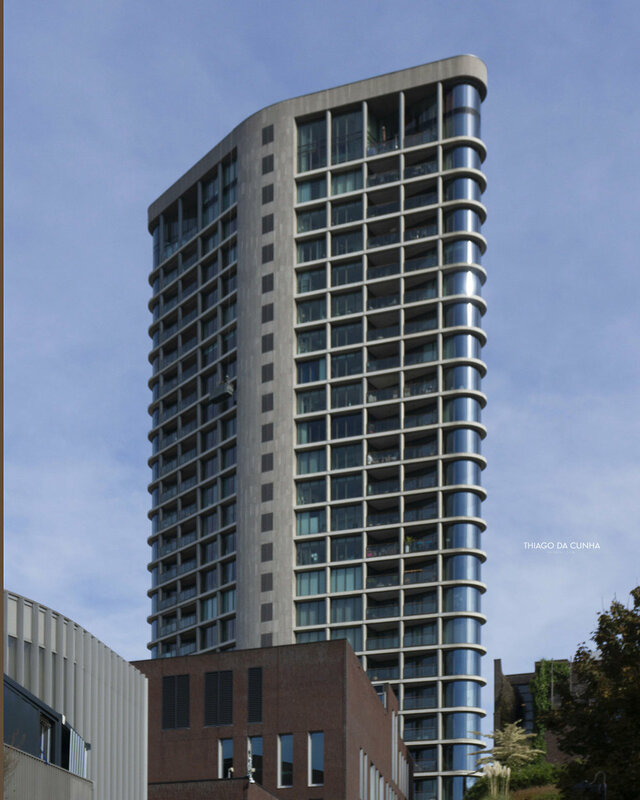 According to http://www.architectuur.org/bouwwerk/172/Vesteda_Toren.html, the contstruction cost was $ 16.5 millions Euros. 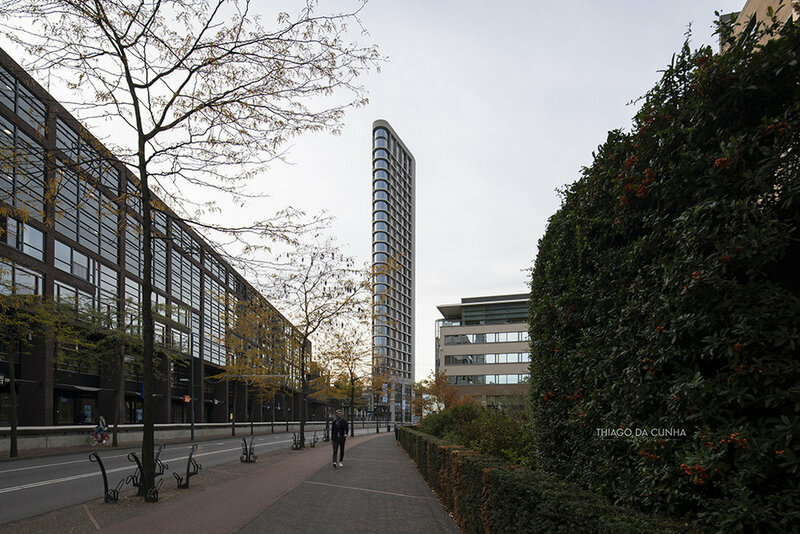 The Vesteda Tower in Eindhoven, Netherlands. Detail shot of the Vesteda Toren Eindhoven, Netherlands.